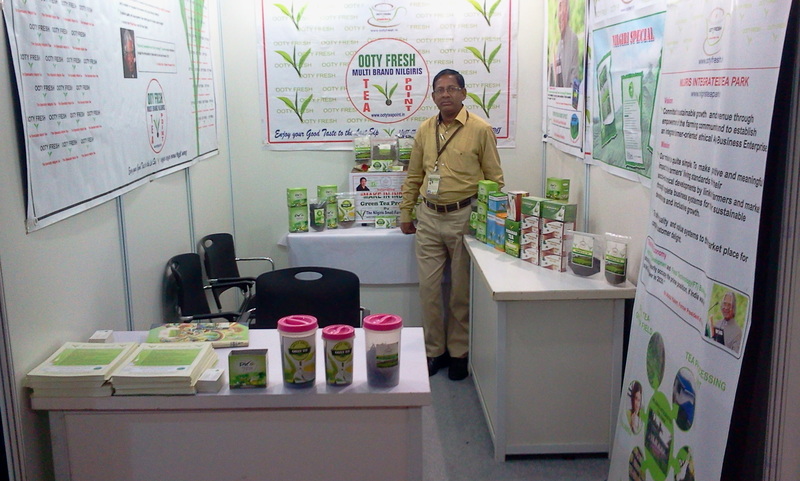 The World Tea & Coffee Expo and Conference was held in Mumbai last week for 3 days(20-22, October). 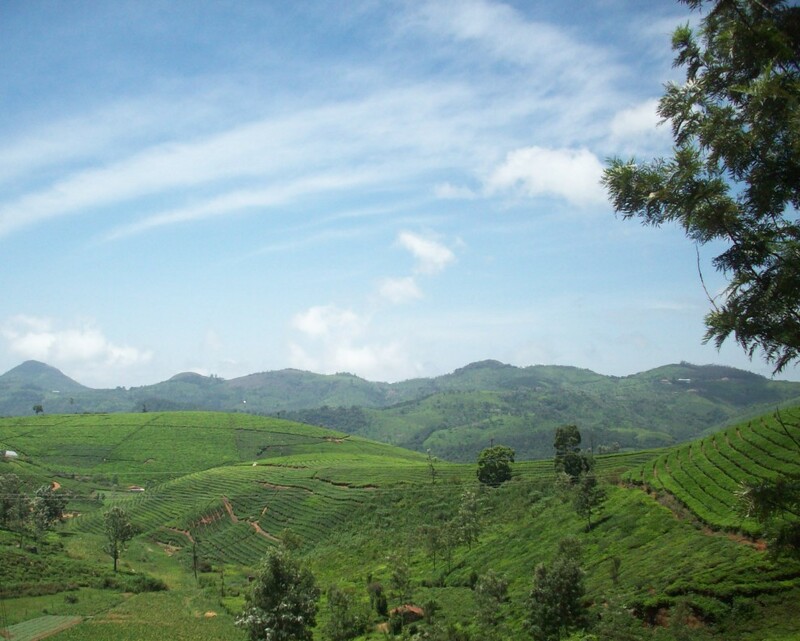 Around 70 Companies have exhibited their produces in the event highlighting mostly Speciality Teas. 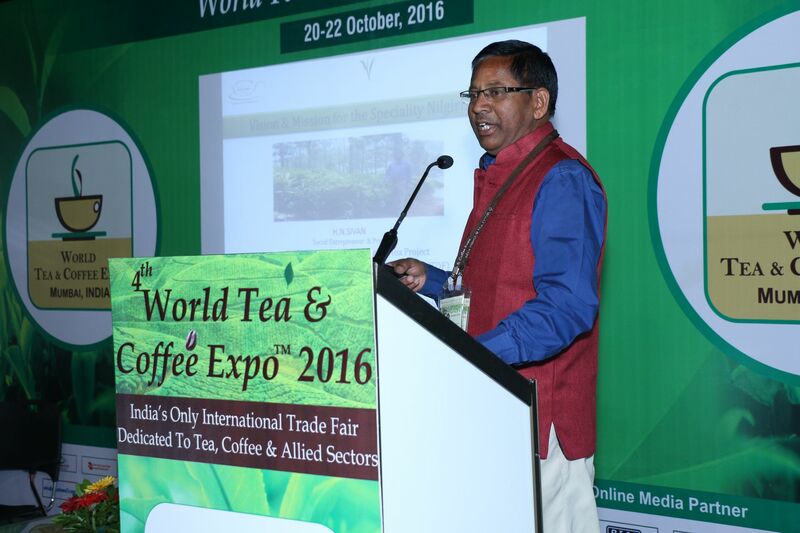 Tea Board of India allotted a stall in its pavillion to the Nilgiris Small Tea Growers to exhibit their products. Hubbathalai N Sivan, [Promoter & Social Entrepreneur, OOTYFRESH Speciality Nilgiris Teas Project, Nilgiris Tea Development Foundation(NTDF)], took two progressive small tea growers to the event and displayed their Speciality Handmade Green Teas alongwith his OOTYFRESH Speciality Nilgiris Tea (premium White Teas, Green Teas, Orthodox Teas,etc). Since he was also invited as a Speaker he presented a paper on Vision and Mission on Nilgiris Small Tea Growers for Inclusive Growth and Sustainable Developments.